The life expectancy of your home’s heat pump is dependent on several factors: the brand, your location, and most important, how well you maintain this most vital part of your home. Name brand heat pumps are expected to last at least fifteen years or more when properly maintained. Some wear out or have significant repairs after a few years if not properly maintained. To keep your heat pump running at peak efficiency, homeowners should contact a skilled professional. Northeast Florida Heating & Air of Jacksonville Florida is an expert in all areas of HVAC service and installation. Heat pumps force temperature flow from lower to higher (the natural flow of air is higher to lower) using small amounts of quality energy, like electricity or waste energy. Your home’s heat pump transfers natural surrounding heat sources to the inside of your home. Heat pump cooling reverses the flow from higher indoor temperatures and dissipates this air outside. Modern-day heat pump technology and HVAC systems should only be maintained by technicians certified to work on these systems. 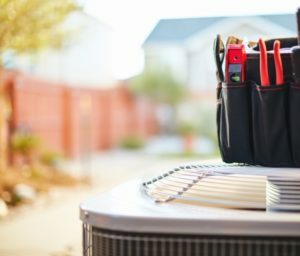 How Often Should I Service My Heat Pump? We recommend servicing your heat pump every year if you are heating and cooling year-round. Our certified technicians can provide expert, affordable care to keep your heat pump running at peak efficiency. Depending on how you use the heat pump, whether it is seasonal or in constant operation, filters should be replaced once a month. According to the U.S. Department of Energy, a neglected heat pump can cost the homeowner between 10% to 25% of your energy bill. Our technicians at Northeast Heating & Air can recommend the right size of filter for your system if you’re not sure. Proper maintenance is the key to a well-maintained system. Keep your heat pump running at peak efficiency and enjoy the long-term savings. Call your neighbors at Northeast Heating & Air (904) 201- 3413. Talk to an expert now. Cannot be combined with any other offer. Call dealer for more information.